By Jennifer Farrell in In conversation with... on 17th Mar, 2017 . Q: How valuable are material objects to the study of magic? ANNE LAWRENCE MATHERS: Apart from books and the technological side of things, not a lot survives. Professor Roberta Gilchrist, from the archaeology department of the University of Reading, did a whole project looking for evidence of magical artefacts. She looked for anything associated with magic across a massive span of medieval English burials and came up with hardly anything. Also people like Audrey Meaney, a long time ago, have looked into earlier Anglo-Saxon burials – in that period people were buried with grave goods – still had to speculate pretty ferociously about whether things were possibly magical in use or not. Recognising a magical object, when you see it, is quite difficult. I only wish there were more of the astrological magical objects, like talismans and the signs because there are fascinating texts on making rings, seals, signs, and instructions pretty much on how to trap your genie in a bottle! But until you get to the Renaissance, oddly, virtually none of it seems to survive. It is much easier to find this stuff from fifteenth-century Italy than it is from thirteenth-century England. Q: Some historians tend to project back from the Renaissance and the early modern period, do you think that is a useful method? ALM: It all depends on what your evidence base is: if you want to research the approach to magic in a particular place and time, then you need to have the specific evidence. But, if you have got an evidence trail that takes you back to Antiquity and then starts again in the early modern period, I think it is fair to assume that there was some continuity in between. 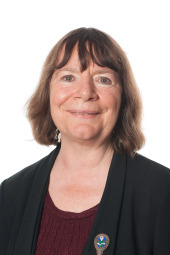 CATHERINE RIDER: One of the things I find really useful from early modern studies is that the evidence is so detailed, so we can sometimes shed light on very cryptic or brief references to practises in the Middle Ages. You can’t know if it was exactly the same thing, but it is a possibility. ALM: Going back to where we started, it helps to go against the idea that all this was carelessly lost in the Middle Ages because they were too dumb to recognise an interesting scientific text when they saw one. ALM: Yes, you do get far more continuity even in things like educational institutions and practices; just basic confidence with Latin takes a long time to build up somewhere like in Anglo-Saxon England. Q: The focus of your most recent work was on Merlin: what is it that makes him such an interesting character in the history of magic? ALM: What I found so fascinating was that medieval authors had a lot of fun with the figure of Merlin. Until I actually sat down and read all the romances from the thirteenth and fourteenth centuries that bring Merlin in, I had no idea that Merlin could be considered one of the first superheroes. It is fabulous stuff: when Julius Caesar’s affairs are going badly, for example, and he doesn’t realise that his wife is betraying him by having an affair with half the members of his court, Merlin appears to reveal this and then of course, being a magical character, after throwing the cat amongst the pigeons, he can just disappear again. 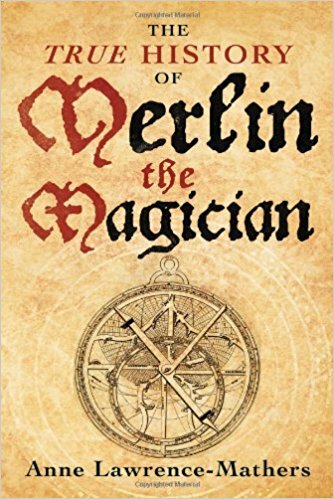 Another one I liked was when a war bearing a resemblance to the crusades is going very badly and again Merlin comes in – I think disguised as a stag – and reveals his identity and it is great because, like with Superman or Batman, everyone has heard of him. He uses his magic and his magical knowledge to solve everybody’s little problems and gets them all going in the right direction and almost literally flies out like a superhero. I think it is the fact that, certainly on the romance side, authors were playing with the character and treating him as a fictional character but staying within certain bounds at the same time, because, what I said with that, this is definitely Merlin. This starts with the incredible fraud carried out by Geoffrey of Monmouth and I don’t have the skills or the inclination to go back to the pre-Merlin phase. I just don’t believe anyone is ever going to find the original Merlin. Q: With that said, do you think anyone can actually claim Merlin, either the Welsh or the English, who would you say has a right to claim him? ALM: Geoffrey makes it pretty clear that the sources he is playing with come out of Wales. He claims to be “Geoffrey of Monmouth, the only one who can translate this long lost book into the British language”, whatever ‘the British language’ meant. When he wrote his Latin Life of Merlin, he is sort of riffing on the Welsh poems and he is doing it in poetry whereas in the prose Latin chronicle he is really creating a whole new Merlin. So, he’s pointing you to Wales. Unfortunately, his version of those poems in the Life of Merlin is actually older than any of the surviving Welsh poems. Q: Now, for the final question on Merlin; what is the significance of Merlin’s association with natural magic in Geoffrey of Monmouth’s History of the Kings of Britain verses portrayals of him in other accounts? ALM: I think in the History, Geoffrey is going out of his way to be very cutting edge and he is also showing off that he and his friend Walter the Archdeacon of Oxford and presumably other bright young men from the court of the bishop of Lincoln, such as Henry of Huntingdon, and the other ones he namechecks at the end of the book, have been doing their scientific and historical research. I think he is almost making Merlin the figurehead for a display of cutting edge science as perceived from England in the 1130s. Q: Going on from that, it’s in Book VII, and it’s quite different from the others, so do you think it could be viewed as an initiatory text for later esoteric novels due to its literary style? ALM: Yes, he was very clever and very good at Latin composition in all sorts of genres! The poetic life of Merlin is a beautifully done pastiche of a certain style of Latin poetry and does draw on poems which were presumably accessed in Welsh as we don’t know if they were translated into Latin this early. So, he seems to be reading across all sorts of things! The figure who sticks in my mind and the whole depiction of the Roman world and the lost Roman baths and buildings at Bath itself, and the idea that Britain once had this King Bladud who created Bath by tapping into the natural powers of the hot water and the springs at Bath, and then even a version of Daedalus. He is the one who constructs himself wings and flies off to London, overdoes it, gets exhausted and comes crashing out of the sky to his death roughly where St. Pauls would have been. He is pulling together all these ideas and stories, that his readership would have heard of, but wouldn’t necessarily be experts on. This is how Geoffrey gets away with it. Q: Lastly, your lecture today is about the meaning of Eclipses in the Middle Ages and you gave a paper for the Ordered Universe conference in Rome last April focusing on weather and how it was used to predict the future in the Middle Ages. Considering how erratic the weather has been recently, what kinds of things can we expect from 2017? ALM: I have not done an actual astro-meteorological forecast, I meant to over Christmas, but I didn’t get around to it. But I did use the method in the Anglo-Saxon prognostics – the ones that go on right through to the fifteenth century – where you look for meteorological phenomena over the twelve days of Christmas and use those as forecasters for various things. Basically, I spent Christmas in Stratford-Upon-Avon, so this is a forecast for the Midlands; sadly it is very boring. It is going to be a completely average year as far as weather is concerned, except that every so often there will be something very nice, either in the way of some beautiful weather, or something involving golden light or even someone finding a buried treasure. Apart from that, really, really average!